Labradorite is a great stone for self-discovery and it can help turn your dreams into reality. Labradorite has been known to awake your inner spirit, intuition, and psychic abilities. This stone shields the aura and protects it from negative energies. The benefits of Labradorite can extend to your emotional healing by calming an overactive mind and energizing the imagination. New and exciting ideas can be brought to mind, along with a sense of change and adventure. Labradorite can give you determination, increased instinct and personal power whenever you experience turmoil and transformations. AMAZING! 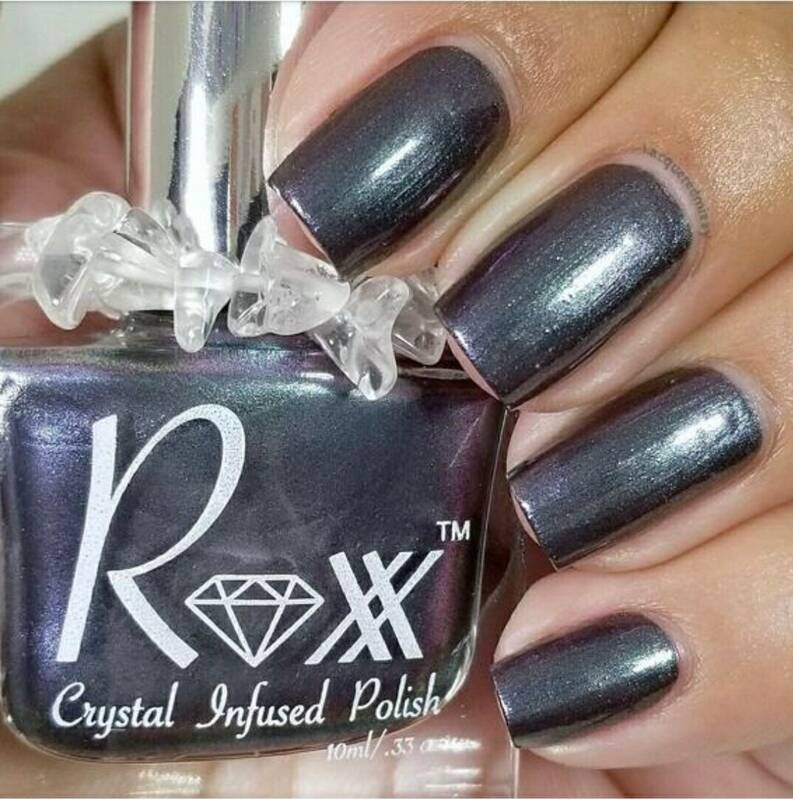 I felt a shift in my life as soon as I started using this polish. Not only does it have amazing metaphysical properties by being infused with actual the crystal, but the iridescence is so hypnotic and powerful when wearing. I get so many compliments. The seller was incredibly kind and giving. Went above and beyond and provided an amazing service with fair price, quick shipping, and the extra loving intention was felt. Thank you so much!!!! What an amazing shop, will 100% be ordering from again. Love the polish so much! Wonderful idea. Fast delivery. Beautiful nail polish---can't wait to try it. Thank you for including the sample of Cherry Love Energy lip gloss. The scent brings back memories of cherry candy from my childhood!